Tuesdays at 5:00 - 6:00 PM: Naval Station Everett (Tsunami Pool paddleboard yoga for Navy personnel and guests, third Tuesday of the month, $18 inc. board). Advance registration required. Thursdays at 3:00 - 4:00 PM: Naval Station Everett (Tsunami Pool paddleboard yoga for Navy personnel and guests, first Thursday of the month, $18 inc. board.) Advance registration required. Select Fridays at 8:00-9:00 PM: Indoor Paddleboard Yoga at Snohomish Aquatic Center. $27 for 60 minutes. All levels welcome, all gear provided. Advance registration required. Select Saturdays and Sundays at 10:00 - 11:30 AM: YogaMosa at Bluewater Organic Distillery. $28 total for a lovely yoga class among the distillery's copper kettles, capped off with a gorgeous sparkling cocktail and a light brunch. 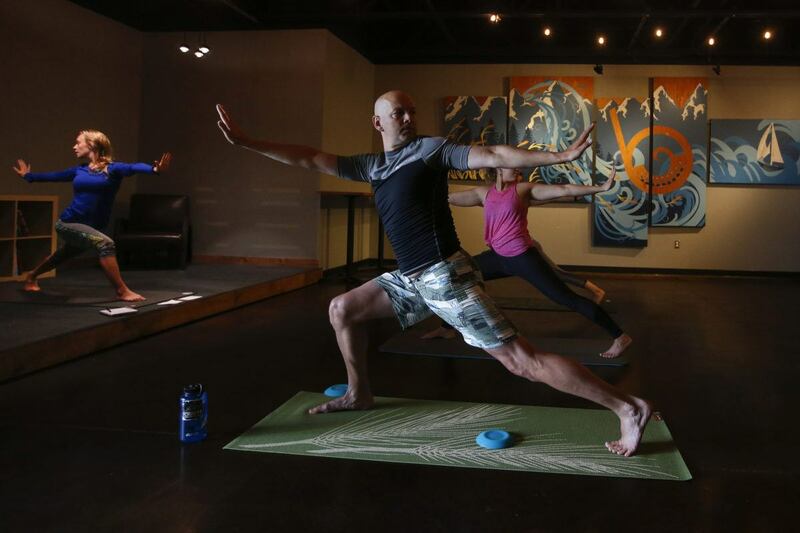 Private YogaMosa classes are available for your group! I have a couple of time slots available for private yoga sessions. Email me at hello@catalystyoganw.com to book! Wednesday at 6:00 PM: Paddleboard Yoga at Lake Stevens. $30 + tax for 90 minutes. All levels welcome, all gear provided. Registration required. Fridays at 6:00 PM: Paddleboard Yoga at Silver Lake. $30 + tax for 90 minutes. All levels welcome, all gear provided. Registration required. Saturdays at 5:00 PM: Paddleboard Yoga at Silver Lake. $30 + tax for 90 minutes. All levels welcome, all gear provided. Registration required. Sundays at 10:00 AM: Paddleboard Yoga at Lake Stevens. $30 + tax for 90 minutes. All levels welcome, all gear provided. Registration required. Select Sundays at 10:00 AM: Paddleboard Yoga at Edgewater Beach in Mukilteo. $30 + tax for 90 minutes. All levels welcome, all gear provided. Registration required. Beach Yoga Dates and Locations TBD Join my newsletter list to be notified when the details are set! Check the Paddleboard Yoga Tab for more paddleboard yoga information, both indoors and out in nature! One-on-one, corporate, and private group classes available! Contact me for details.